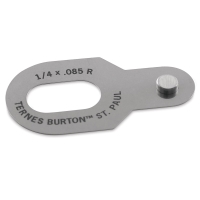 Ternes-Burton Register Pins combine a stainless steel base (.013" thick) with a precision machined stainless steel button. 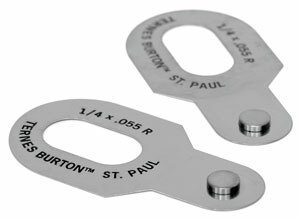 Featuring multiple welds for strength, both the tops of the buttons and the bottoms of the bases are hand-polished to prevent scratches. The hole in the base provides additional taping area, which helps prevent movement and makes the pins easier to handle.